We love the way banner stands work! They go anywhere, can be easily moved around, and don’t require any hardware to install. It’s a real pain in the neck to figure out how to hang a traditional banner every place you go, and the retractable banner stands make that go away. 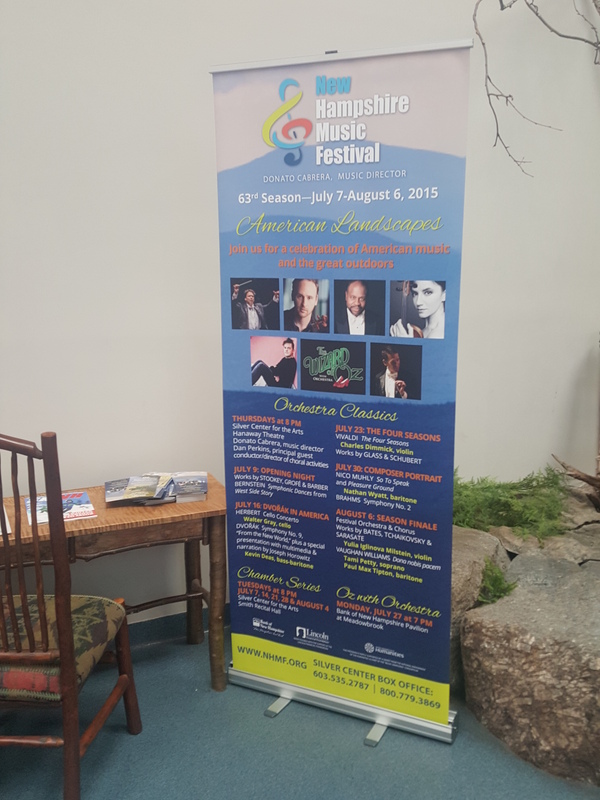 This is one we made for the NH Music Festival, and it sits in a rest area along I93. Before the Festival started, they used it at every function they held leading up to the season. At $199, they are a bargain, and a great way to communicate! This entry was posted in Retractable Banner Stands and tagged pull up banners, roll up banners, self standing banners. Bookmark the permalink.